I am excited to return to the MET program after a one year hiatus. This is my 6th course and I am looking forward to investigating the entrepreneurial side of educational technology. I introduced a wiki as a pilot project last year with some success www.iicc.pbworks.comand will be posting the clinic syllabus and guide in this format over the remainder of the term. I am also researching two different clicker systems. The highlight of my summer was canoeing the Bowron Lakes circuit with my 15 year old son. 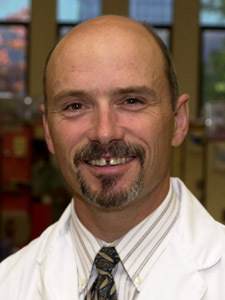 I am a Clinical Assistant Professor at the UBC Faculty of Dentistry and have been teaching there since 1999 in PBL, clinic and preclinical simulation modules. Recently I have assumed responsibility of coordinating our 112 3rd and 4th yr clinical dentistry students, 6000 patients and 200 or so part time faculty. Any other cat wranglers out there? Hi Jim! It is nice to see you again. I haven’t been in a course with you for awhile, so it will be nice to “see” you around again! Hi Jim. I’m over in the Faculty of Medicine in supporting mostly undergraduate medicine program delivery mostly online. We’re also using iClickers. My wife and I did the Bowron Lakes circuit this summer too. I’d also describe it as the highlight of my summer. Just got back from a fabulous reunion at Whistler this weekend so I was incommunicado. Nice to see you too Amy. Stuart, what dates were you at the Bowron? We were there July 6-14. Brian, we are comparing iclicker to PRS. We purchased ~100 PRS clickers the year before UBC switched over to iclicker. grrrr!